Beauty is always in the eyes of the observer, but it’s important not to confuse beauty with perfection. The latter doesn’t exist in nature, or not in the literal sense it doesn’t. You can be incredibly beautiful but you will never be perfect, and that’s a good thing. It is often the little imperfection that bestows attractiveness. It’s when these imperfections become dominant that people become disgruntled with their physical appearances. For a lot of South East Asians; it’s their nose that causes them the most stress. It’s one of the reasons why the Misko Nose Threadlift has become so popular in the region. I’ll explain more about that in a while. There’s no such thing as the perfect nose but there is such a thing as an imperfect one. A broken nose is imperfect as is a nose that has some other disfigurement, either at birth or because of an accident of some kind. 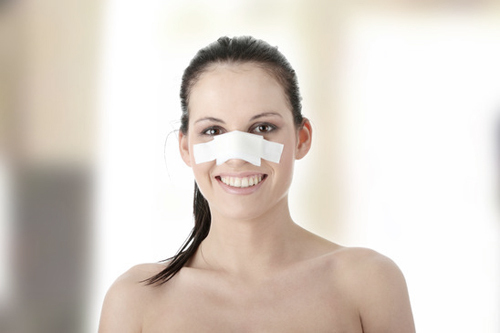 Most rhinoplasty surgeries, however, are not because of some major disfigurement. People often just want a little enhancement surgery to help improve their looks. For Asians, many are dissatisfied because they tend to have flat, round noses. Aesthetically speaking, most people do not consider this a particularly attractive look. Some do, but the majority of people don’t. This is why there’s such a high demand for nose augmentation treatments within Asians, especially women. British scientists have studied and classified 14 different Caucasian nose shapes. They have named these after well-known individuals for easy reference. Can you identify yours from the list below? All the noses above are names of someone famous. Scientists also suggest that you can tell a person’s personality by the type of nose they have. Mind you, this is speculative rather than decisive. One thing surgeons understand about nose types is that few people are happy with what they’ve got. The nose can cause a lot of stress for some, especially when it’s too prominent. A nose that is too notable takes the attention away from other, more attractive features of the face like the eyes and mouth. Whether your nose suits you or not depends on the rest of your face and the size and shape of your head. A big long nose on a small round face, for example, may look as though it doesn’t belong. Nose surgery in general is pretty routine, though that doesn’t mean people can choose any nose they desire. A lot depends on what the surgeon has to work on to begin with. Patients who have realistic expectations get to enjoy considerable improvements to their noses. Asians, and most other people, generally speaking, want a nose that is not prominent. A slightly sharp tip with a bridge that is straight is a popular request. A nose like this is in proportion and aesthetically pleasing to the eye. For Asians to achieve a look like the one above, they will need a rhinoplasty procedure. In most cases, the surgeon has to place an implant into the bridge. This type of surgery is a lot less invasive yet produces results that can match that of the more invasive surgical operations. It’s what we call a minimally-invasive procedure, and it’s one that achieves a better balance of nose to face. To put it another way, the nose and face will work in harmony with each other rather than compete for attention. You nose takes a more background role if you will, allowing your other fine features to shine through. Patients may experience a little discomfort post-surgery, but this will not last for more than a few days at most. The great news about this type of surgery is that it isn’t painful at all. It might be a bit uncomfortable, but it’s not painful. The surgeon will apply a numbing cream and in most cases that’s enough. But if a client requests it, they can have a little local anaesthesia too. Another appealing aspect to the Misko thread is that it’s an outpatient treatment. Being able to leave shortly after the procedure is particularly appealing for busy folks with hectic schedules. Another appealing aspect to this is that you get to avoid post-surgery infection risks. Although this is not all that common, it is still a potential threat to more invasive rhinoplasty surgeries. Nose jobs are not the only thing you can have done with the Misko-Misju thread. There’s also something called the 4D facelift too. This is the latest in beauty treatments, and like the nose-lift it’s a minimally-invasive surgery. Misko Misju treatment can help to clear up any lines on your forehead area. It can also provide you with a natural-looking eyebrow-lift and without upsetting your eyebrow curves (something that can happen with other cosmetic practices). Got droopy eyelids, or under-eye bags? Misko Misju can treat those too, as well as lift up sagging cheek muscles. This is an all-new and impressive procedure without the scars or any unpleasant side effects.